Metaphorá (Public transport), production 2016, continuation of Errance. 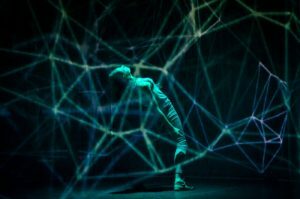 Interactive, immersive installation, choreographic performance, audience participation. A unique environment as a shared experience between choreography, sensitive bodies and a community of audience members.